Berries are known for their refreshing taste and detoxing properties. These properties are due to the several active chemical compounds (called polyphenols) they contain. Pterostilbene is one of these polyphenols. Pterostilbene is touted as the replacement for resveratrol, the famous phenolic compound. It is a potent antioxidant and can control several inflammatory disorders. Read on to find out how pterostilbene can impact your health. Which Foods Are Rich In Pterostilbene? Does Pterostilbene Have Any Side Effects? Pterostilbene (trans-3,5-dimethoxy-4-hydroxystilbene) is a polyphenol (stilbene) found in blueberries. It has a structure similar to that of resveratrol. Pterostilbene has a higher bioavailability than resveratrol. In several animal studies, resveratrol showed just 20% bioavailability, while 80% of pterostilbene was available after ingestion (as it contains two methoxy groups in its chemical structure). For obvious reasons, pterostilbene is the preferred therapeutic agent (1). 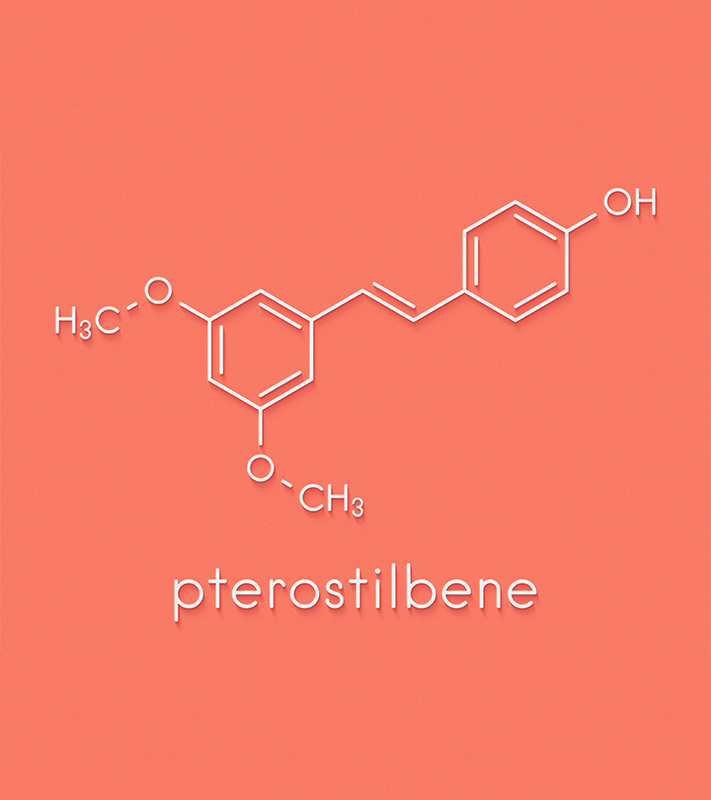 Research stresses on the anti-inflammatory, antioxidant, and anticarcinogenic properties of pterostilbene. The compound also improves the functioning of normal cells and inhibits the proliferation of malignant cells (1). 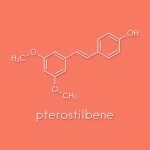 Want to know what else pterostilbene does? Let’s take a look at some scientific evidence. Read on! Pterostilbene can help prevent cardiovascular diseases – possibly because of its antioxidant properties. Supplementing your diet with blueberries can increase the levels of antioxidant enzymes, including superoxide dismutase (SOD1 and SOD2), glutathione reductase (GSR), and thioredoxin reductase (TR-1) in rats (1). Related studies have shown that pterostilbene-rich blueberries inhibit the production of free radicals in the endothelial cells. Pterostilbene also regulates vascular smooth muscle cells and the related enzymes, thereby preventing atherosclerosis. Chronic smokers are most vulnerable to heart diseases. Having about 250 grams of blueberry a day for three weeks can reduce oxidative stress, lipid peroxidation, hypertension, and other associated heart diseases (1). Fading memory is a hallmark of aging. Inflammation and death of neurons are the primary causes of disorders like Alzheimer’s. Dietary supplementation of pterostilbene showed cognitive improvement in mouse models (2). This phytochemical activates protective signaling cascades and downregulates stress cascades in the nervous system. Hence, eating blueberries, grapes, and other pterostilbene-rich foods can naturally slow down the progression of Alzheimer’s disease (2). It also works better than resveratrol. Pterostilbene decelerates cancer progression by targeting critical enzymes in cancer cells. It is also known to induce apoptosis (cell death) in actively proliferating cells. It switches on/off the genes and the corresponding proteins and prevents cancer from aggravating (3), (4). There is evidence demonstrating the antitumor and antiproliferative effects of pterostilbene against cancers of the breast, prostate, lung, liver, pancreas, colon, esophagus, and the abdomen (1). 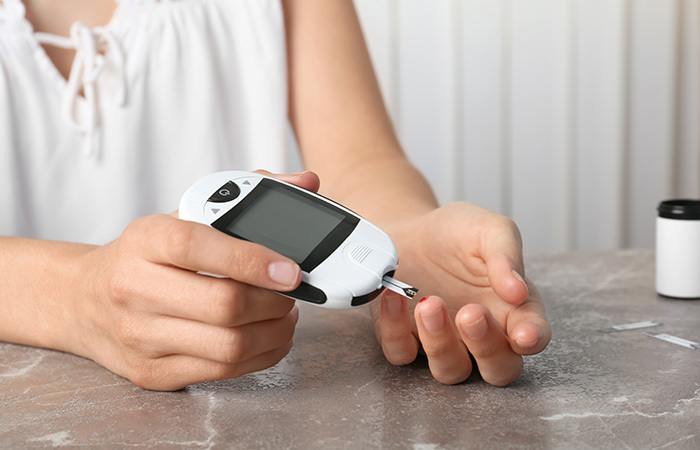 The antioxidant properties of pterostilbene help control blood sugar levels. The compound reduces oxidative stress by eliminating the reactive oxygen species (ROS) from your body. This way, pterostilbene also protects your kidneys and liver (1). Pterostilbene boosts the production of antioxidant enzymes, decreases the levels of glycosylated hemoglobin (a biomarker for diabetes) and blood glucose levels (by 56.5%), and increases plasma insulin levels. An oral dose of about 40 mg/kg of pterostilbene for six weeks, as per a study, achieved the above-mentioned results (1). 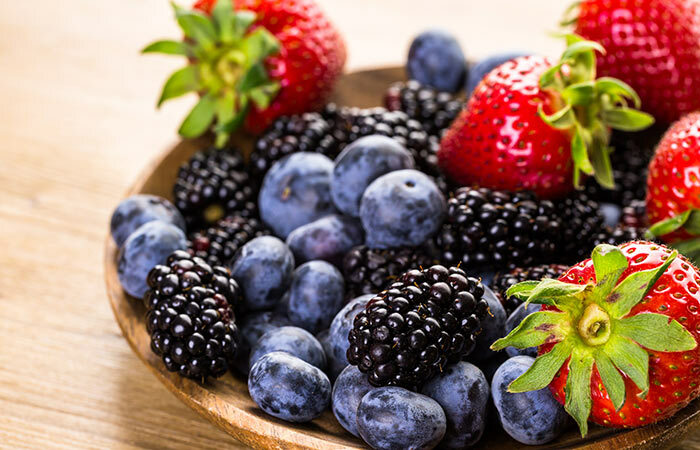 The exact relationship between the antioxidant activity of pterostilbene and its glucose regulation needs more extensive research. For now, we can only assume and postulate specific mechanisms. Staphylococcus aureus is attributed to many systemic infections, more so when the strains get resistant to multiple drugs. The bacteria eventually form thin films (aka biofilms) on the skin and begin penetrating your system. Once in your system, they trigger multiple lapsing systemic infections. Researchers found that antioxidants and anti-inflammatory stilbenes, like pterostilbene, can disrupt these biofilms. When applied topically, pterostilbene penetrates the closely-knit matrix, spreads through the entire depth of the biofilm, and kills the notorious bacteria. Hence, pterostilbene can be an effective antimicrobial for your skin (5). 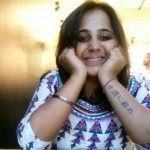 Hope these benefits have convinced you about the goodness of pterostilbene. You can try it by introducing it to your diet. But how? By consuming the foods rich in the compound. Consuming a small portion of these foods can increase pterostilbene levels in your body. You already know the different ways it can benefit your health. Taking 100 mg-250 mg of pterostilbene is safe and can reduce blood pressure (1). But to frame a detailed case-specific dosage, we need more specific scientific data (6). Well, does this amazing chemical have any side effects? Research till date only indicates how pterostilbene is better than resveratrol. There are not many studies done on the harmful effects of this polyphenol. A majority of the studies done on pterostilbene report it is safe for human consumption. Pterostilbene is a polyphenol (stilbene) present in grapes, blueberries, and other members of this family. It is structurally similar to resveratrol, another phytoalexin with therapeutic significance. As it is more bioavailable and safer than resveratrol, pterostilbene is touted to be the best replacement to the latter. With time and further research, we can understand how the antioxidant properties of pterostilbene work in treating metabolic disorders. We recommend you to add the foods listed to your diet and enjoy the cleansing effects of pterostilbene. Also, tell us how these foods have made a difference to your health. Share your feedback, suggestions, comments, and queries in the box below.